"Murder or a Duck" and "Hogwarts in America"
I have two items of news today. First, my unabridged narration of Beth Goder's wonderful time-twisting science fiction tale "Murder or a Duck" is up here on Episode 545 of Escape Pod. It's a terrifically entertaining and clever story, and it was great fun to record! If you listen, I hope you enjoy. I'll post again when this article goes up online. That opening statement for the Reason article certainly doesn't bode well. 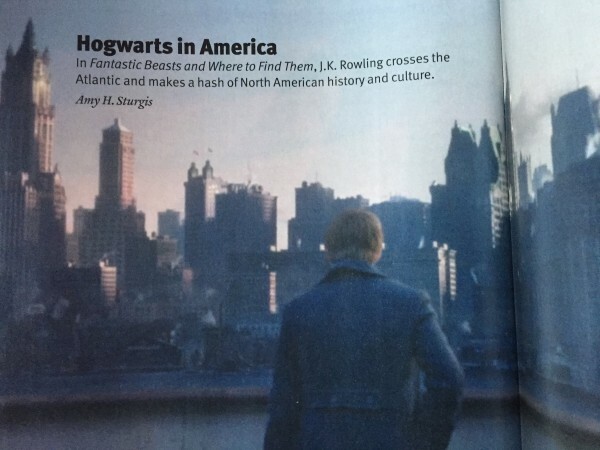 Just to clarify (because the subtitle that ended up in the magazine is confusing): my comments are about the introductory essays Rowling recently posted on Pottermore to set the stage and provide a foundation for the events in the film, and not the actual film itself. I'm really hoping that the movie will be better! I want to like it, too.